This stunning Hannovarian was imported from Germany as a 7 year old in 2016. Prior to import, he was an approved stallion out of Monte Bellini and was in development as a dressage prospect. Also an obvious equitation/hunter prospect we decided to buy him, geld him and bring him home to start the training process. In a matter of a few months, he went from not knowing how to jump a simple cross rail to becoming one of the most winning big eq horses and 3'6" hunters in Ontario. In his first year of competition (2017) he went on to become the overall reserve champion in the OHJA Junior hunters and won Grand Prix Junior Medal finals at the Caledon equestrian park. 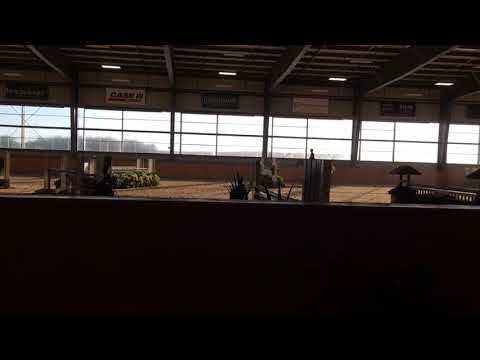 His winning record in both Canada and the US also qualified him for the Jump Canada Medal Finals at the Royal Winter Fair and the USEF/Dover Hunt Seat medal finals at the Pennsylvania National Horse Show. 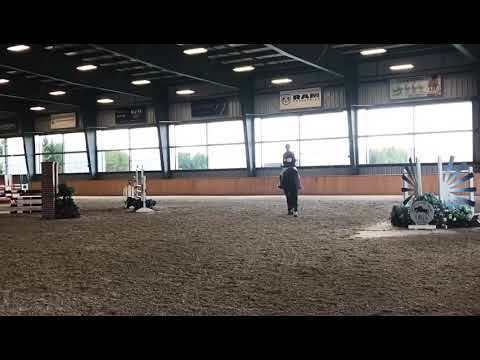 After putting in solid performances at these hunter equitation finals, it was obvious we had a very talented horse; so we decided to continue his development for one more year and introduce him to the jumper equitation ring. Over the last year, he continued his winning ways, and has not only qualified for the JC and USEF medals once again, he also qualified for the Maclay finals in Kentucky and the CET jumper medal finals at the Royal. This is truly a special horse and at the tender age of 9 he is ready to go and will give one lucky rider many years of success in all three rings. He can be seen in Harrisburg (Oct 12-14), the Kentucky National Horse show (Nov 1-4) and at the Royal Winter Fair (Nov 5-8) after which he be available to try.